Station. Replacing the one in Old Leigh High Street (pictured above) serving the LTS line. This change allowed for a new purpose built 3 platforms, and for the road north of the original station to widen with demolishing of the buildings north of the line. The District Line on the underground once proclaimed a non stop service from the centre of London to the Southend area, and Leigh (new station) was the first to be called after Barking. Bon Marche Sells Up - This large ladies boutique and general goods sold up shop in Alexandra Street, to be purchsed by the Southend Police to add to it's growing building stock in the street. The main purpose to purchase was to address the lack of mortuary facilities within the town. In 1934 the new own's mortuary quite modern for the day situated to the rear of the building opened for business. The young officers in the police station next door were saddened, however, to see the end of the Bon Marche as the upstairs quarters were occupied by the young female sales assistants, a source for a number of romances. The mortuary served the town until 1961, when the role was undertaken by Southend General Hospital. 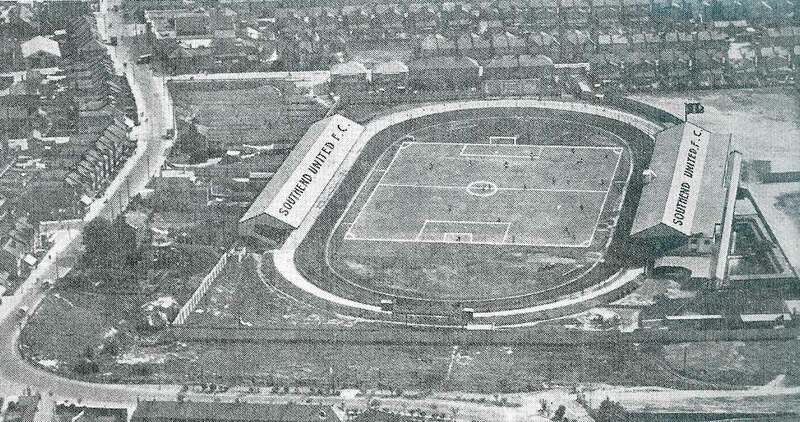 Southend United Move Grounds - After 15 years based at the Kursaal ground, Southend United decided to break contract and move to the newly opened Southend Stadium, originally intended for the racing of Greyhounds. The site now is a shopping area with the likes of Lidl and Matalan as well as the Mecca Bingo Centre taking over the footprint. The Hippodrome Changes - The live entertainment venue of the town changed not only it's name to the Gaumont but also made many physical changes to this huge theatre. With new paving laid, a brand new canopy, and the facade was awash with neon lighting, not forgetting the major changes in the auditorium and lighting. The grand opening on 18th January 1934 saw the films 'Meet My Sister' and 'A Cuckoo in the Nest' on show. Thorpe Bay Gains Parish Status - The build up of Thorpe Bay saw the area gain parish status in 1934, with St Augustine's being the Parish Church.